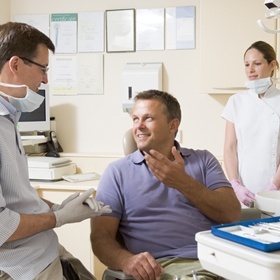 In recent years, dentists and patients alike have started relying on dental implant supported tooth replacement as the go-to smile restoration service. 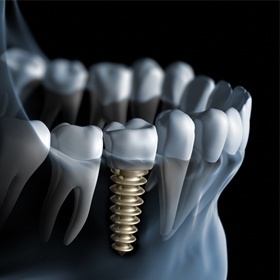 The price tag for dental implant tooth replacement still gives many patients pause. If you’re considering this complex restoration, your Lawrenceville, GA implant dentist, Bruce E. Carter, DMD, and the dedicated dental team at Transforming Smiles are here to help. We’ll kick off your implant tooth replacement plan with consultation. During this tooth replacement consultation, we’ll review all of your treatment options, pricing, and scheduling. Once you feel confident that you’ve found the best tooth replacement option to meet your needs and fit your budget, we’ll set to work transforming your smile. When you’re ready to find out more, call our dental office in Lawrenceville to schedule your consultation visit. Keep reading to learn more about the cost of implant supported tooth replacement plans. Dental implant posts and their surgical placement will make up the majority of the costs of dental implant supported tooth replacement. Each dental implant post is customized to fit your unique needs. Dental implant posts are most often crated from zirconia or titanium. These two materials have been proven effective in seamlessly fusing with your supportive bone and gum tissue to provide support to anchor your replacement tooth or teeth. While the custom crafting and use of high quality materials improve the chances for successful implantation, this quality does come at an added cost. However, until less precious materials have been tested and proven, these custom titanium and zirconia implants will remain the best option. In addition to the cost of the dental implant posts themselves, the complex surgical placement procedures can also be costly. Before we get started designing, crafting, and placing your dental implant posts and replacement teeth, we will likely need to perform one or more preparatory procedure like a tooth extraction or tissue graft. After your smile is prepared, we surgically place the implant posts. Over the course of several months, the implants fuse with the gum and bone tissue. Once this process is complete, we’ll attach the abutments. These are the connective pieces that affix replacement teeth to dental implant posts. When the abutments are in place, we’ll capture bite impressions that are used by our lab to craft your dental crown, fixed bridge, or denture. When we receive your final restoration from the lab, you’ll return to the dental office, so we can affix your replacement teeth to the dental implants, leaving you with a flawless new smile. Semi-permanent – these restorations will last for several decades, and many people keep their repaired smile for a lifetime. Natural function – the dental implants stabilize any number of replacement teeth, so they function just your own healthy smile. Confidence – you’ll look and feel your very best when you speak, chew, and smile with total confidence in any situation. Improved health – because the dental implant posts replace tooth roots, the supportive bone and soft tissue is maintained and healthy tooth structure is protected, ensuring optimal oral health. The vast majority of dental insurance providers don’t offer coverage for the cost of dental implants or their surgical placement. However, other aspects of your treatment plan like the preparatory process or replacement teeth may be covered. 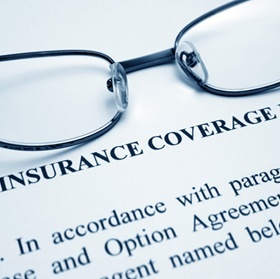 Our knowledgeable team members will review your insurance policy and help you make the most of any available benefits.